Each unit is 2BR/2BA. Kitchen includes stove, refrigerator, & dishwasher. Washer & dryer connections located in kitchen. Gas furnace, central electric air. All units were updated 2 years ago. New carpet, light fixtures, ceiling fans, paint, window blinds, windows, French doors to balcony or patio. Upstairs units have balconies. Downstairs units have patios. Each unit has 2 parking places on the parking pad. Roof is 2 years old. Barrington is a subdivision within the city of Athens, Georgia. There are currently 0 Homes for Sale within Barrington, with asking prices ranging from $0 to $0. The average list price per square foot of the available inventory in Barrington is $0, which is the Athens average of $217. The Average Sales price of all sold real estate in this subdivision for the past year is $68,500. Recent comparable homes have been selling for 90.31% of their asking price. Waterfront homes represent of the available Barrington inventory. The population of Athens, according to the 2010 Census, is 115,452. The total number of households in the zip code of Barrington is 15,949, with an average household size for of 2.27 people. The total number of renter households within the zip code of 30605 is 10,099, which means that 36.68% of households in this zipcode are owner occupant households. 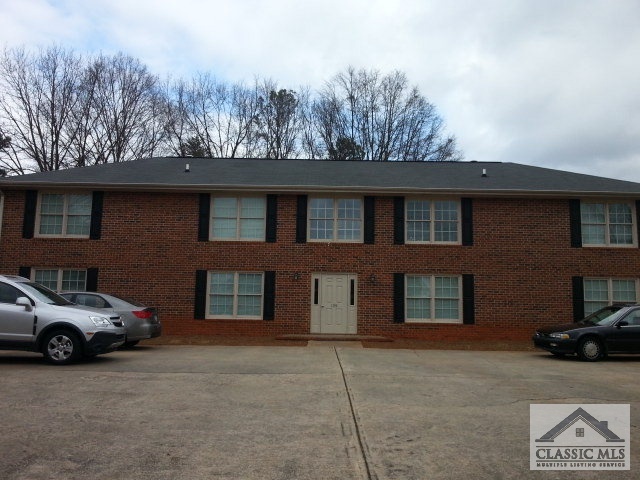 LISTING PROVIDED COURTESY OF Ann Anderson, Ivey & Company of Athens, Inc.
109 Barrington Place #4, Athens GA 30605 is a Other, with 8 bedrooms which is recently sold, it has 4,368 sqft, 0.0-0.25 sized lot, and 0 parking. A comparable Other, has bedrooms and 0 baths, it was built in and is located at and for sale by its owner at $ 0. This home is located in the city of , in zip code , this County Other, it is in the Subdivision, and Appleby Mews are nearby neighborhoods.